Kent Lee Jessee, 77, of Abingdon, Va., passed away on Tuesday, October 25, 2016, at Johnston Memorial Hospital. Born in Lebanon, Va, he made his home for over 35 years in Salisbury, Md., before moving to Abingdon. A 1972 graduate of ETSU, he retired from the Federal Government. Kent was of the Episcopal faith and was a kind hearted man who was very talented. He was preceded in death by his parents, Taulbee and Russell Jessee; and sisters, Bobbie Gent and Nell Bolling. He was loved and he will be missed. Survivors include his brothers, Toby Jessee and wife, Jane and Johnny Jesseeand wife, Susan; sisters, Fay Jessee and Nancy Jessee, and several nieces and nephews. The family wishes to thank the doctors and nurses who treated Kent at JMH, where he received excellent care, to all the pastors, churches and individuals who offered prayers and comfort to his loved ones, to his neighbors at Freedom Pointe Apartments for their kindness, to Jimmy Stewart and staff, Billy Stewart and the Washington County Fire and Rescue Squad. A special thank you to his faithful friends in Salisbury, Betsy Wolfe and her family, Wirt Sr., Wirt Jr., Kate and Gabrielle for their love and care shown to Kent through the years. At his request, there will be no visitation or memorial service. His ashes will be scattered in the Chesapeake Bay. 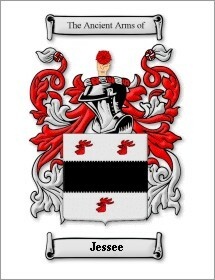 Share memories and condolences with the family at www.owensfuneralservice.com. Owens Funeral Service and Cremation Services, 7 Tate Street, Lebanon, Va., is in charge of arrangements.